Occasionally, a hockey team achieves such notoriety that their bad reputation is cemented in a nickname that defines the team's identity (whether they like it or not). These nicknames often serve as time capsules that preserve key moments in a franchise's history. Boston's grit in the late 60s and early 70s merited the nickname "The Big Bad Bruins." The pugnacious and pugilistic play of the mid '70s Philadelphia Flyers has been commemorated by the nickname "The Broad Street Bullies." 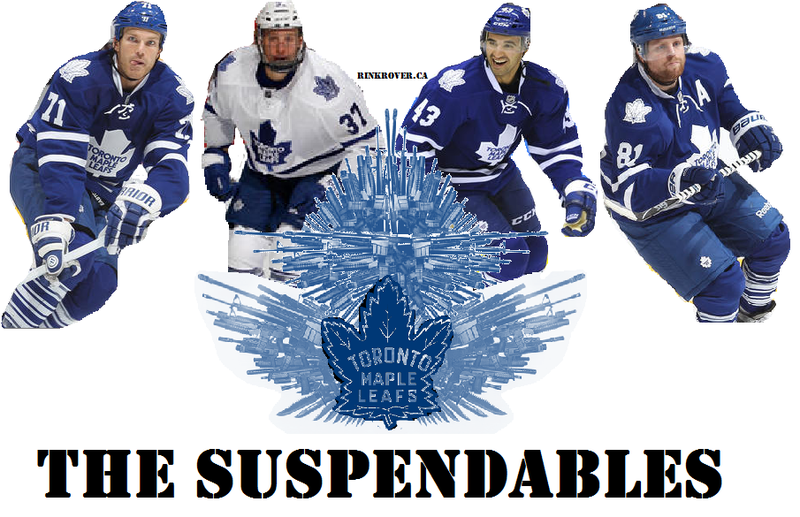 So, who are The Suspendables? Why he was suspended: David Clarkson got into trouble in the preseason when he left the bench to protect Phil Kessel from a raging John Scott. Scott was looking to avenge fallen teammate Corey Tropp, who was given a punch-induced nap care of Jamie Devane. As Steve Dangle pointed out, Clarkson left the bench, but he didn't throw any punches or participate in the ensuing line brawl whatsoever. He was basically intervening in the situation as a peace keeper. 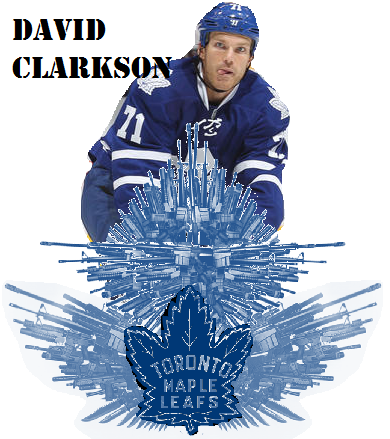 Surprisingly, the NHL decided to give Clarkson the mandatory 10-game suspension rather than nominating for the Noble Peace Prize for his efforts to restore order and good government to the game. What Clarkson should have done instead: I guess that Clarkson should have left Kessel out to dry. He could then appeal to the United Nations and request that Scott be sanctioned for his hostile and provocative gestures toward a non-combatant (Kessel). Why he was suspended: When Scott "warned" Kessel that he was about to answer for the perceived slight against Tropp, Kessel did what most of us would do: he took a defensive swing against the approaching ogre; then he channeled his inner Jeremy Wotherspoon and skated out of Dodge as fast as he could. Unfortunately, Kessel allowed his own vindictiveness to get the better of him. His first slash against Scott could have been chalked up to self-defence, but the second slash against the Sabres' behemoth (who was being restrained at the time) was clearly performed out of spite. Although Scott absolved Kessel of any wrongdoing, the NHL saw fit to give Kessel a slap on the wrist that stung as much as a "snap-bracelet": the league ordered Kessel to sit out the rest of the preseason. What Kessel should have done instead: Phil should have channeled his inner shepherd and slayed Scott with a sling. He would then become Captain of the Leafs, restore the franchise to glory, and write some hockey-themed psalms. 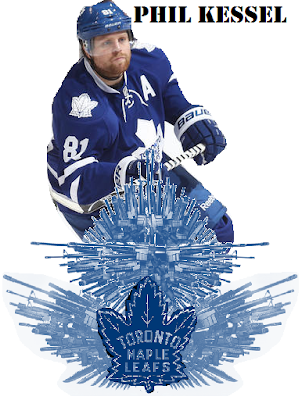 Eventually Kessel would have a treacherous son who would try to overtake Phil's NHL records, and the whole thing would end tragically, but he would have a hall-of-fame career nonetheless. Why he was suspended: I've covered this issue already. Basically, Brendan Shanahan needed to undermine enforcer-justice and continue the league's time-honoured tradition of inconsistent disciplinary rulings. What he should have done instead: Ashton should have appealed Shanahan's ruling based on the argument that he had already been reprimanded for his actions by a member of his union: Shane O'Brien, who censured Ashton through physical reprisal. 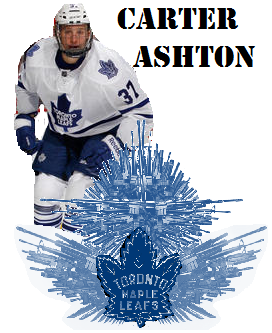 Ashton could then take the issue to an independent arbitrator and watch as the NHL and NHLPA got into a zero-sum battle over the nature and appropriate implementation of discipline in the league. He probably wouldn't win the case, but watching the league and its players union viciously tear each other and the fabric of the NHL apart might make Ashton's broken nose feel better. Why he was suspended: For this. What he should have done instead: He should have lured Backstrom out of the net so that he could deliver an even more devastating hit and get away with it like Milan Lucic did. 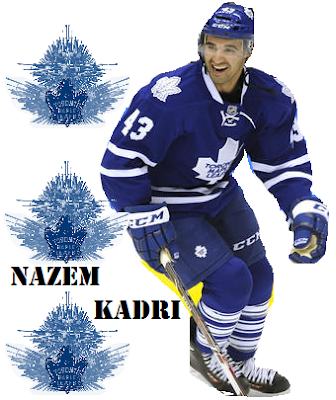 Failing that, Kadri should have chosen to run over James Reimer instead of Niklas Backstrom. Pictured: the lack of quality control at the NHL's Department of Player Safety.